Mobile apps are a big contributor to this growth. Since there’s basically an app for everything these days and new ones are developed daily, it’s no wonder predictions are made for there to be more than 4 billion app users worldwide in 2017. With mobile and mobile apps playing such a significant role in the successfulness of a business, let’s take a look at some of this year’s top mobile marketing trends and what they mean for mobile apps and the businesses utilizing them. Because location technology has improved so much this year, companies can better target their audiences. And it’s not just targeting a large group of their audience, but the capability of targeting individuals. When targeting an individual, businesses must use a more personal approach. 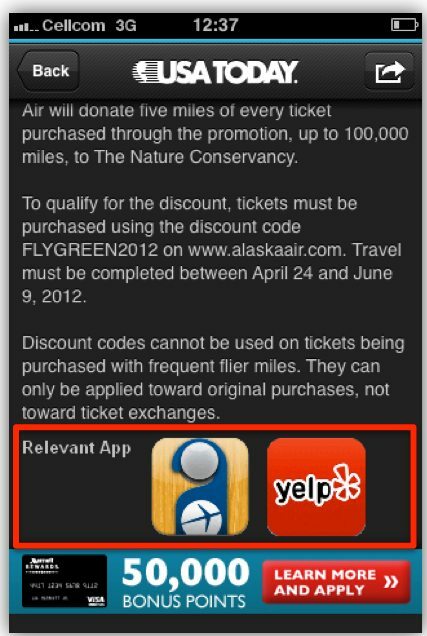 A great personalized way of doing this is incorporating native advertising into their mobile app marketing strategy. 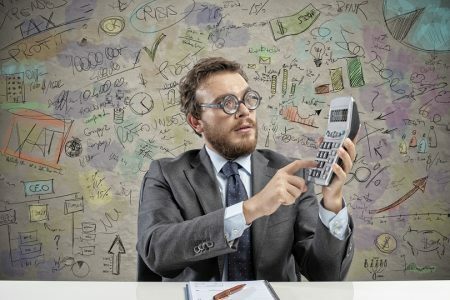 Businesses are using mobile app marketing techniques to create a more personalized experience for their users. Examples of such sites include USA Today, CNN and Facebook. Going native provides a more personalized and meaningful experience for users. Through location technology and knowing a user’s mobile history, businesses can target each user with relative mobile apps and sites. Doing this means their users are more likely to download the apps and visit the sites shown, which also means those businesses will better monetize their mobile visitors. There are hundreds of thousands of mobile apps available. The average smartphone user downloads anywhere from 25-40 apps, but then only regularly uses half or a third of those. It’s common for people to download an app and only open it once or twice. More apps are out there than people can handle, causing a serious case of mobile app burnout. 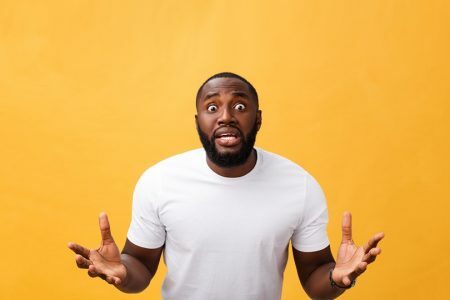 With this happening, a business needs to make sure if they create an app for their consumers that they create a useful app their users can really connect with. One brand that did this is Starbucks. With the Starbucks app, customers pay for their coffee and track their purchases on their smartphones. 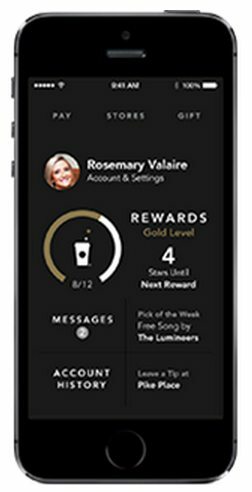 It also has a loyalty program, My Starbucks Rewards, where customers earn rewards when they purchase with their phones and then can redeem their rewards for free Starbucks products. This app shows Starbucks understands its customers needs because it makes life easier for every on-the-go Starbucks customer by helping them more quickly get in and out with their coffee, not to mention a chance at free stuff which all customers love. Let’s be honest, our society is addicted to social media. Social media has penetrated nearly every society. 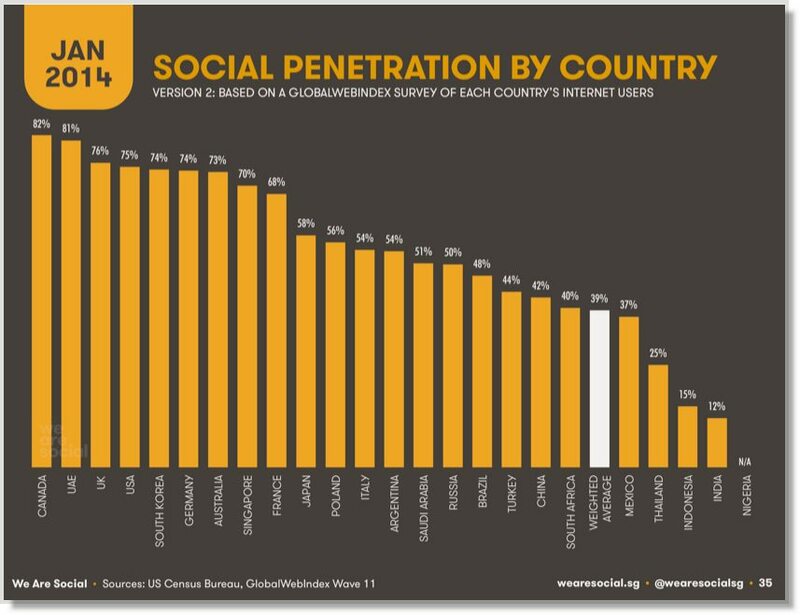 According to one study, social penetration (how much of the population is using a social network on a monthly basis) is around 40% across the globe and growing. And why shouldn’t we be? It’s a way to stay connected with friends and family, a way to get and share information, and a great way for businesses to reach their consumers. About two-thirds of smartphone and tablet users access their social network accounts from mobile devices, with Facebook being the top smartphone app accessed. 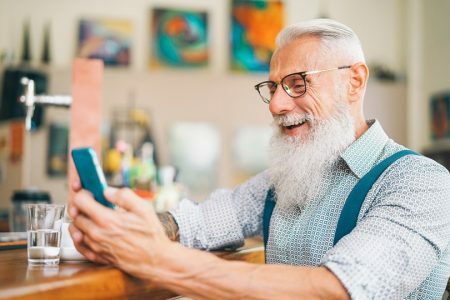 This means businesses looking to better connect with their consumers and market their brand to a wider audience — including several potential clients — should look at ways to use social media apps for ad campaigns. Facebook for example lets you quickly set up mobile app ads to push to users. Other tactics could include Facebook remarketing, promoted tweets, LinkedIn sponsored updates, Stumbleupon paid discovery and other tools or maximum exposure. 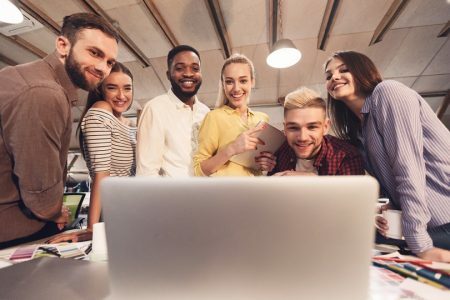 Businesses are able to capitalize on mobile video platforms to connect with their audiences similar to Facebook. Businesses can capitalize on this by using tactics like YouTube’s true view ad channel. The craze of 2014 is wearable technology, and we don’t see that craze ending in the near future. Wearable devices aren’t meant to replace people’s current mobile devices. Instead, they’re devices with apps that collect a user’s data and relay real-time notifications and feedback to them, and people are loving it. Fitness trackers and smart watches are currently the top ones used. Businesses wanting to jump on this wearable craze don’t need to create a brand new app. All that’s required is making some tweaks to their existing mobile app to fit their own wearable design. Misfit is one such company that had to make a strategic decision to stay ahead of the curve, and so far its choice has been a good one. 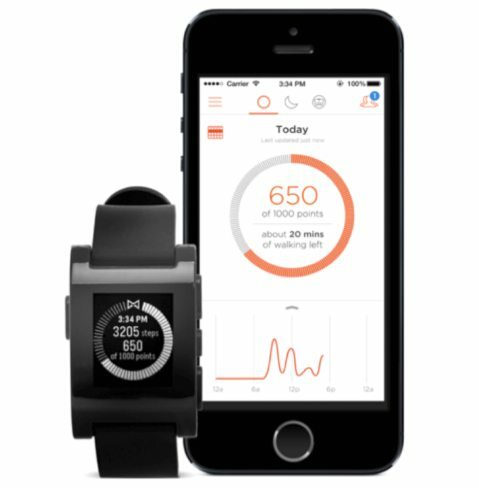 Misfit’s app tracks a user’s fitness and sleep activity. Its CEO said he knew only making fitness trackers would put him out of business within the next year, so recently Misfit partnered with Pebble to make the Misfit app and its algorithm technology available on a Pebble smartwatch. Now instead of a sports band, users can wear a regular-looking watch and with one glance can see the time, their number of steps and other activity the Misfit app tracks. Technology advances and people’s wants change every day, which also means mobile trends regularly change and businesses have to keep adapting to these trends. Adapting isn’t a new concept, and like the example above with Misfit, it’s very possible for a company to do. Partnering with other companies to give customers exactly what they need is one way of adapting. 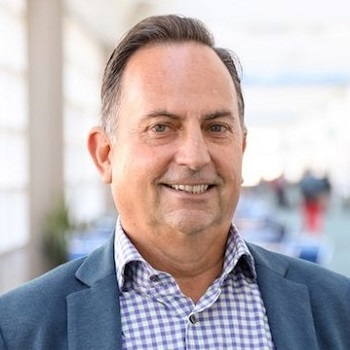 But the best way of being prepared and adapting to these changes is staying up to date with the mobile industry, taking the time to really understand mobile trends and making mobile a top priority. These trends don’t necessarily negatively affect mobile apps. 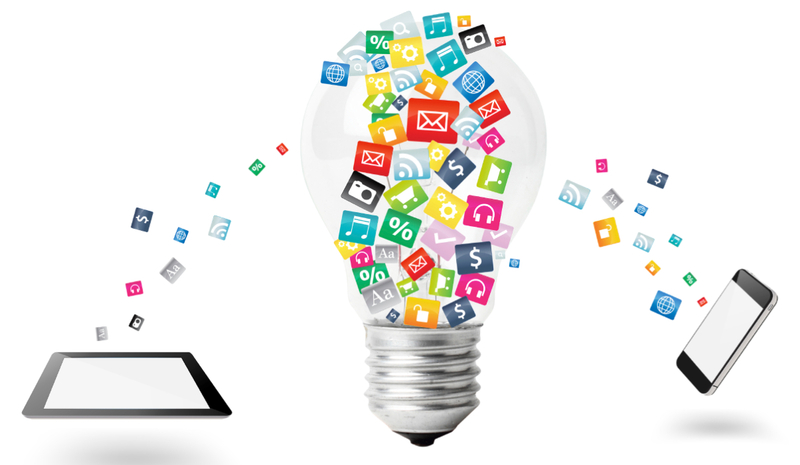 They just mean businesses need to continue evolving and improving with technology and the times, and businesses must fully understand the needs of their customers to make sure their mobile apps and mobile marketing strategies are meeting those needs. Guest Author: TJ Welsh works as a Director of Marketing for Stryde.com, a content marketing agency dedicated to helping companies grow their online presence.